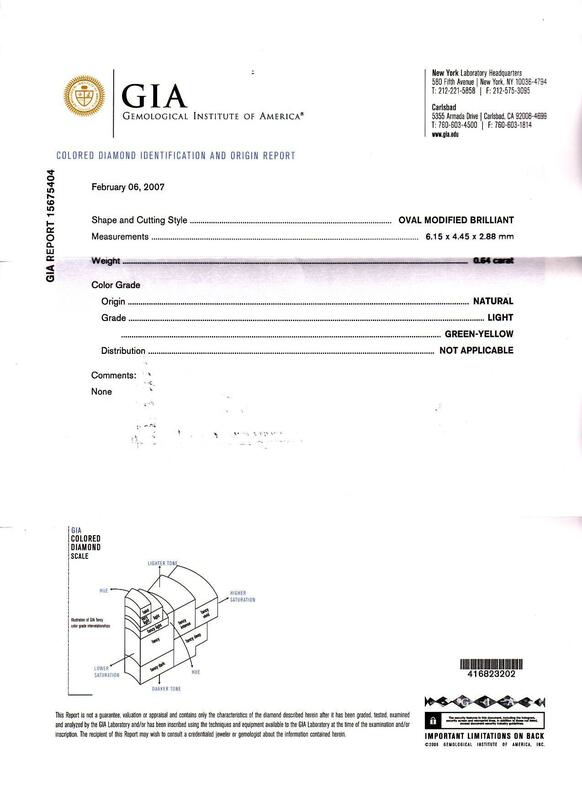 BB016 Oval 0.64 ct. Light Yellow SI1 $1,408 View Comp. 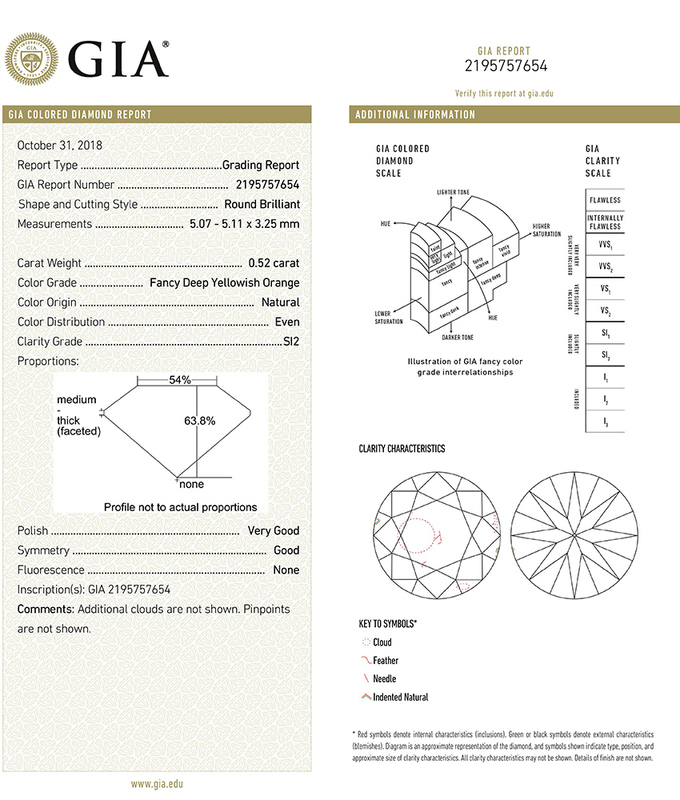 AA4563 Oval 0.64 ct. Light Green Yellow SI1 $4,480 View Comp. 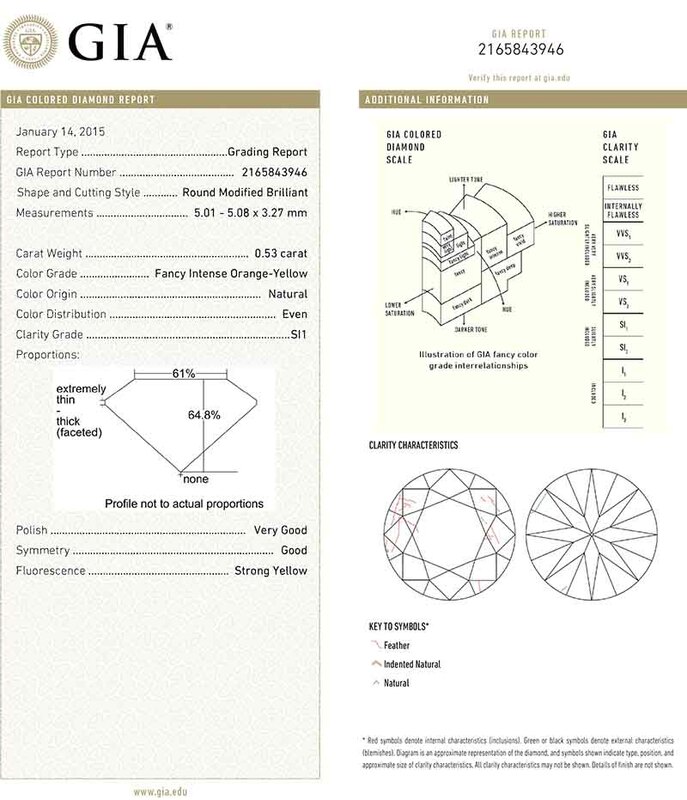 B8603 Round 0.60 ct. Fancy Brownish Yellow I1 $1,800 View Comp. 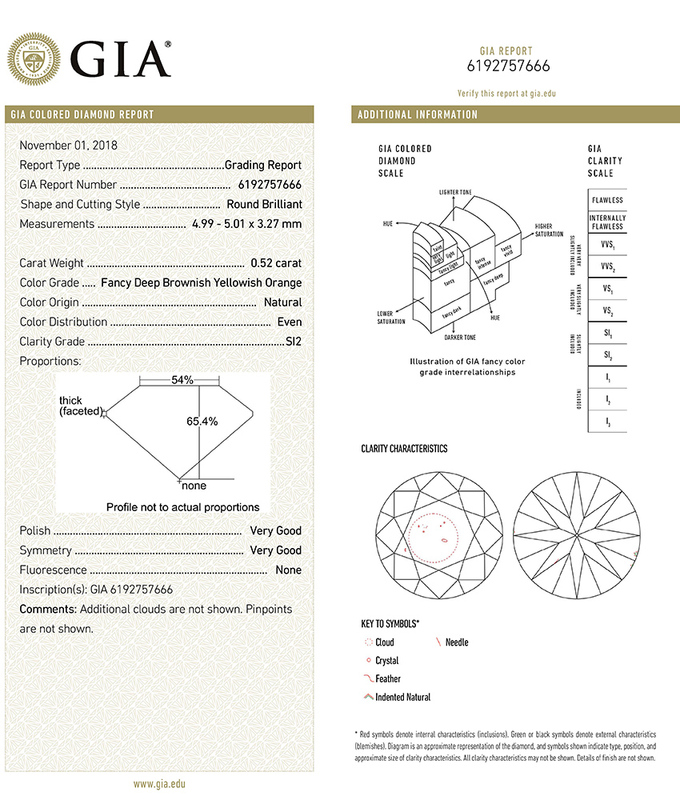 BA09728 Shield 0.57 ct. Fancy Vivid Yellow Orange SI2 $5,130 View Comp. B9033 Round 0.56 ct. Fancy Deep Yellowish Orange SI1 $11,200 View Comp. 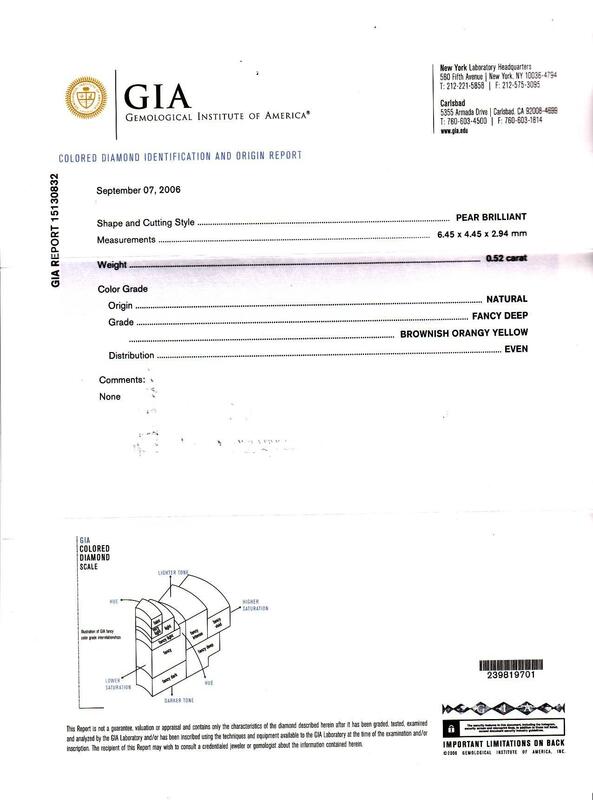 BB007 Round 0.54 ct. Light Yellow SI1 $2,160 View Comp. 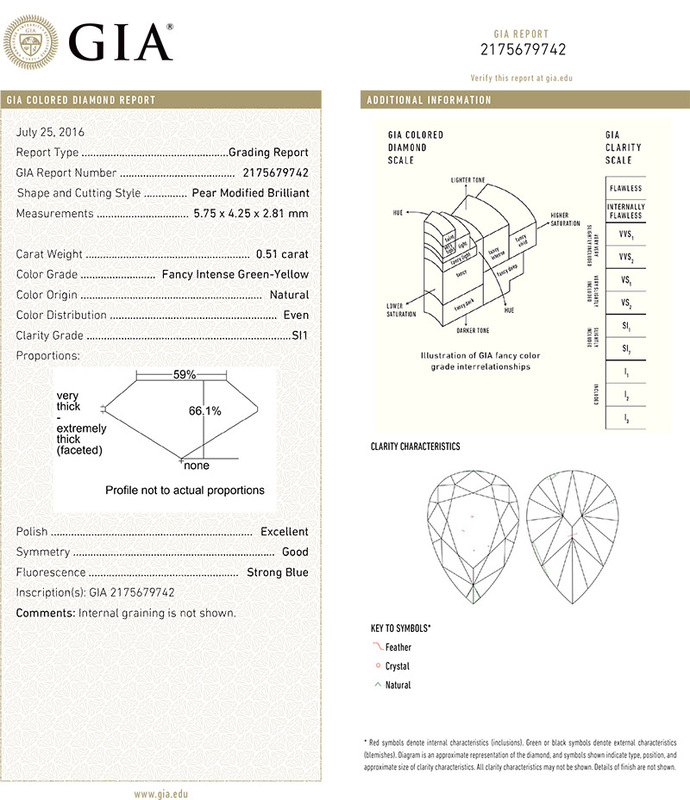 AA8098 Pear 0.54 ct. 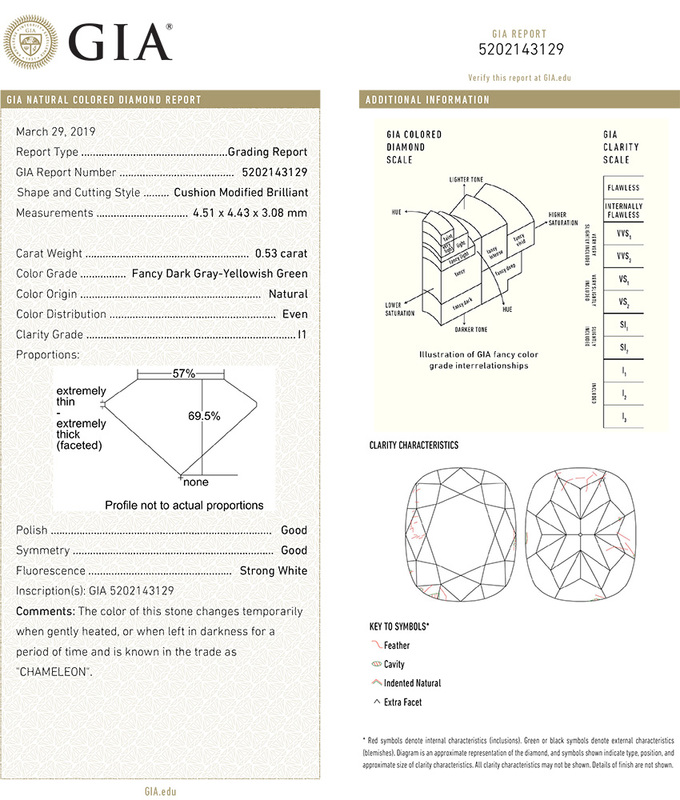 Fancy Deep Orangy Yellow SI2 $1,782 View Comp. B8692 Round 0.53 ct. Fancy Deep Yellowish Orange SI1 $10,600 View Comp. B9128 Round 0.53 ct. Fancy Intense Orange Yellow SI1 $4,240 View Comp. 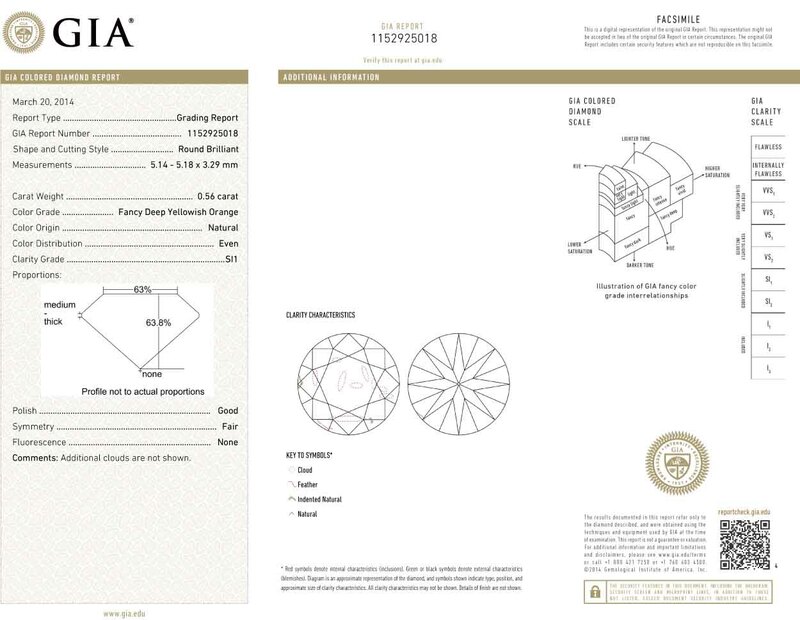 BA09736 Cushion 0.53 ct. Fancy Dark Yellowish Gray Green I1 $2,650 View Comp. 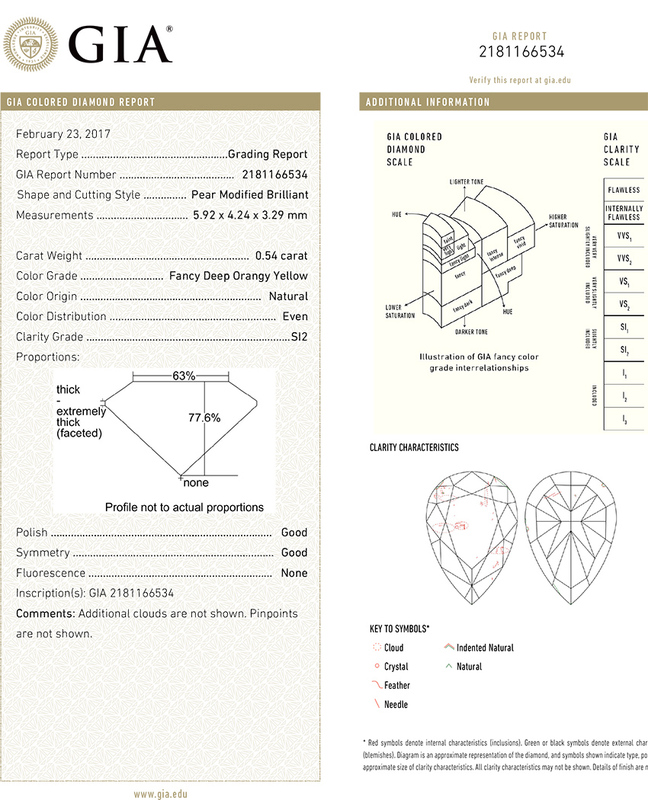 BB039 Pear 0.52 ct. 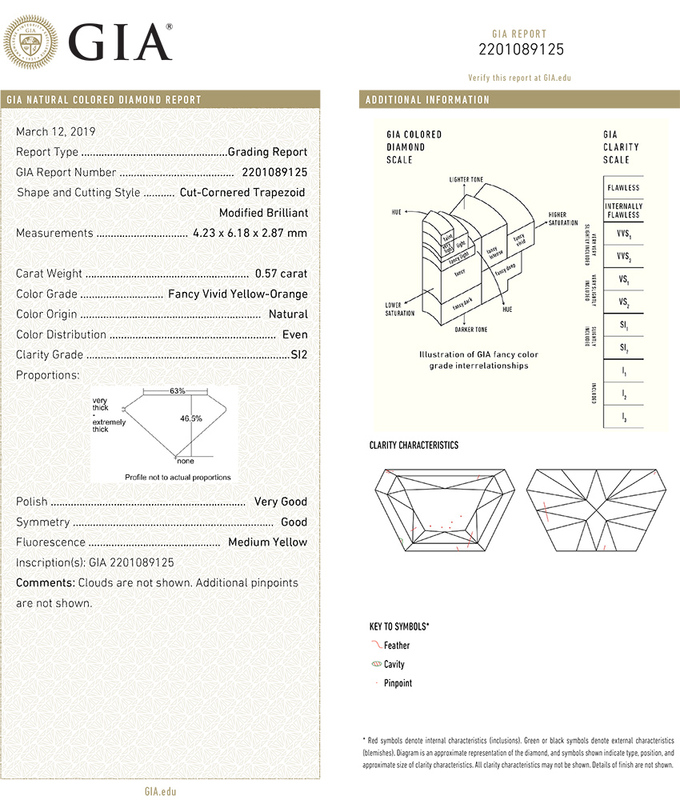 Fancy Deep Brownish Orangy Yellow SI2 $2,080 View Comp. BA8022 Round 0.52 ct. Fancy Deep Yellowish Orange SI2 $3,120 View Comp. BA8021 Round 0.52 ct. Fancy Deep Brownish Yellowish Orange SI2 $2,080 View Comp. B8600 Round 0.51 ct. Fancy Deep Brown Yellow SI2 $1,530 View Comp. 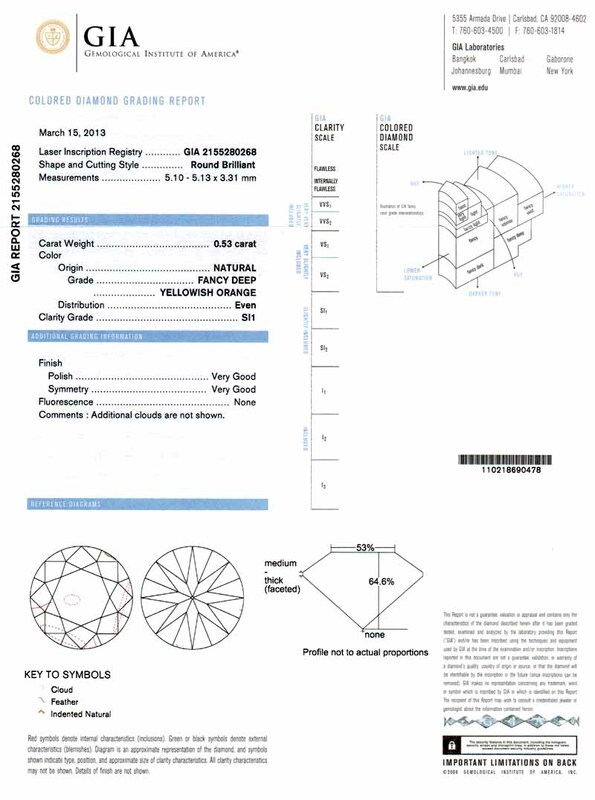 B09372 Pear 0.51 ct. Fancy Intense Green Yellow SI1 $4,335 View Comp.